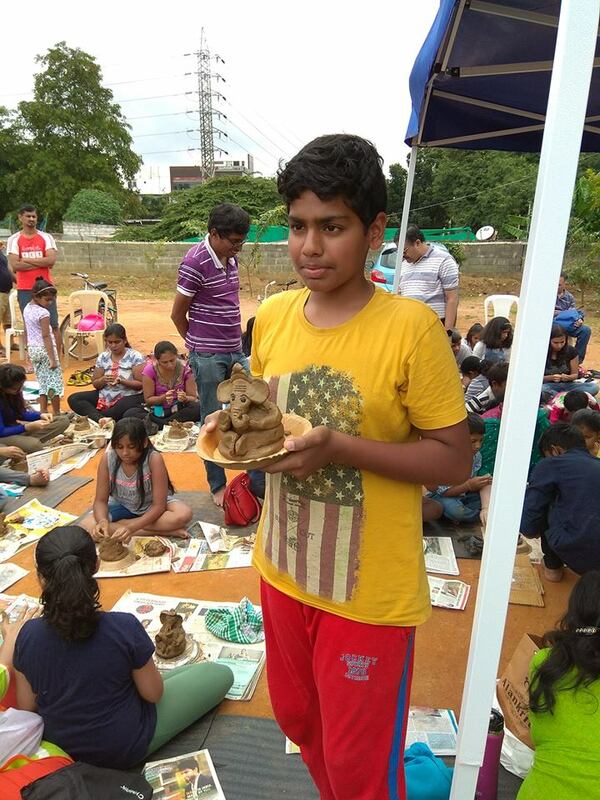 HaSiRu Mithra in association with B.PAC had organised a Clay Ganesha making Workshop 'Clay Ganapa in every Home' on 20th Aug from 10am to 12noon at BBMP Grounds HSR Layout. The objective of the workshop was to create awareness about Eco-Friendly Ganesha Festival and stop usage of PoP Ganeshas which are polluting our Lakes and Environment. 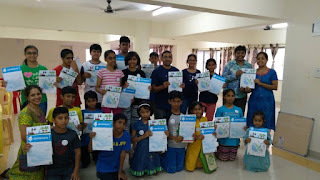 HaSiRu Mithra members Lalithamba, Kamesh, Kavitha Reddy added that their group has been involved in a sustained campaign to promote Eco-Friendly events, and this workshop was another step towards creating awareness among young minds about importance of Lakes & Environment and to take positive steps to make a difference. 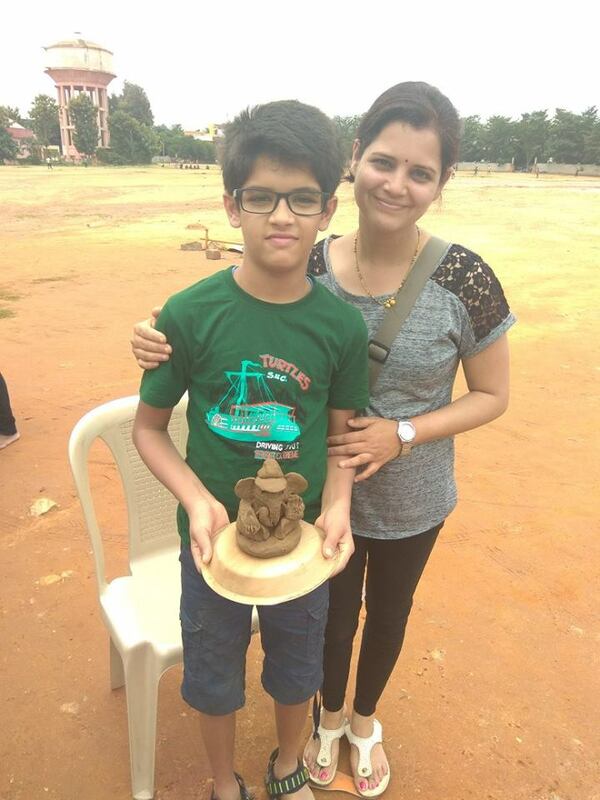 Over 70 families came to the event and children along with their parents made Ganesha using 1kg of Clay that was sourced by B.PAC. 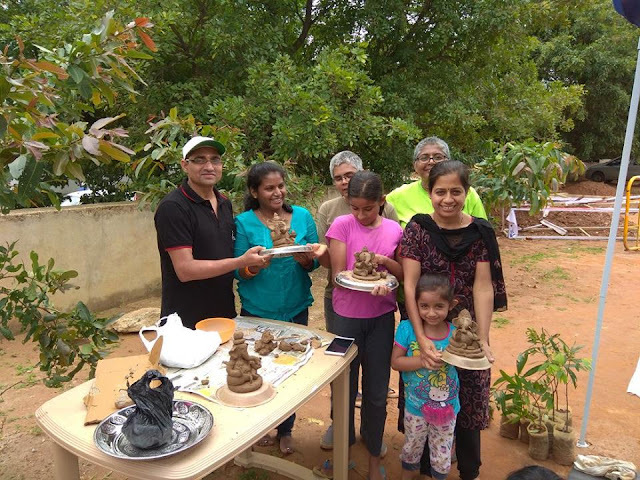 Artists from Karnataka Chitrakala Parishath, Chetana, Shilpa helped the people who attended the workshop to make attractive Ganesha idols that they can take back home for the Pooja. 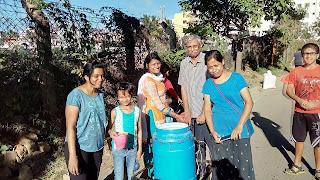 Members of Mythri Mahila Koota also enthusiastically participated in the event, event also witnessed many visitors who had just come to see the workshop, supported and appreciated the efforts to make a difference! HaSiRu Mithra team and Citizens celebrated #WorldEnvironmentDay by planting 25 sapling on the Somasundrapalya Lake road side, the activity was initiated by Lalitha, who had organised for the saplings, support sticks and co-ordinated the entire event. Kamesh brought in compost from Mahaveer seasons, Isha Lake front Apts helped with Water. 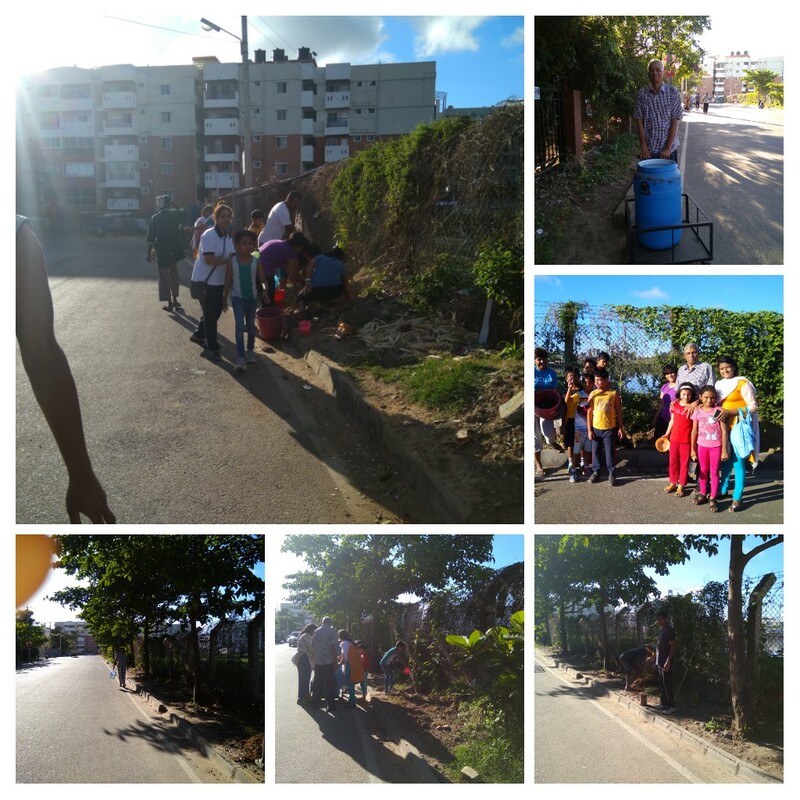 Since 4th June was a Sunday, HaSiRu Mithra team decided to organize the event one day prior to the #WorldEnvironmentDay to encourage wider participation. 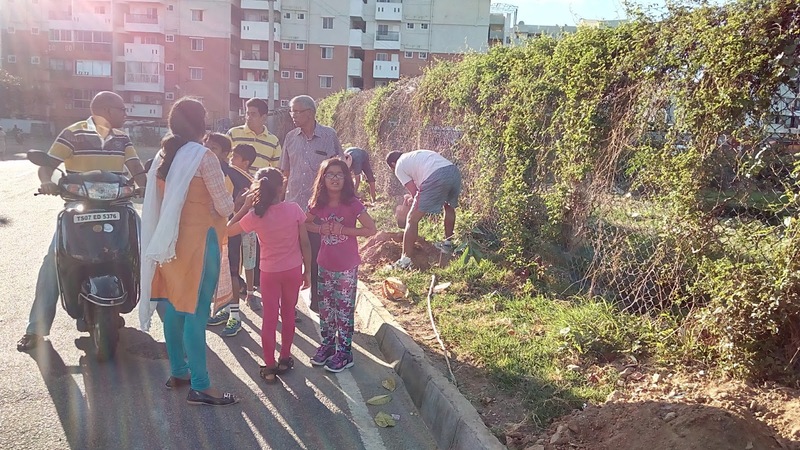 BBMP PKs had helped with digging the pits and participated with great enthusiasm.Both young and old participated in a 2 hour activity and contributed to the Greenery of the locality. 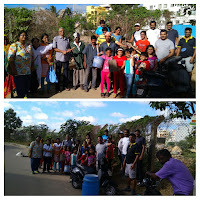 30th April 2017, 6.30am to 8.30am the HaSiRu Mithra members with the help of BBMP PKs cleaned up the Somasundarapalya Lake Park and did maintenance of the Trees that were planted by the team last year. With opportunity to plant at lease another 20-30 saplings, this work will be taken up in June 2017. HaSiRu Mithra team has conducted a 6 days Jal Utsav workshop for children on Water Conservation, the workshop aimed as creating awareness and empowering children to become Jal Mithras and take the message of Water Conservation to their Schools & Community. 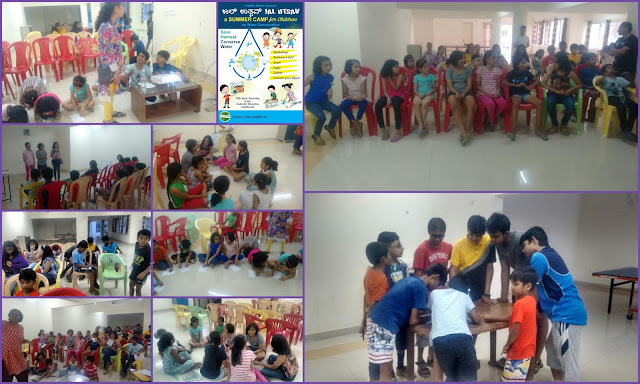 During the workshop the children were taken through a detailed session on water and its importance, assignments on water facts, Lake visit (Agara Lake) where the children learnt about importance of Lakes and need for revival of water bodies. 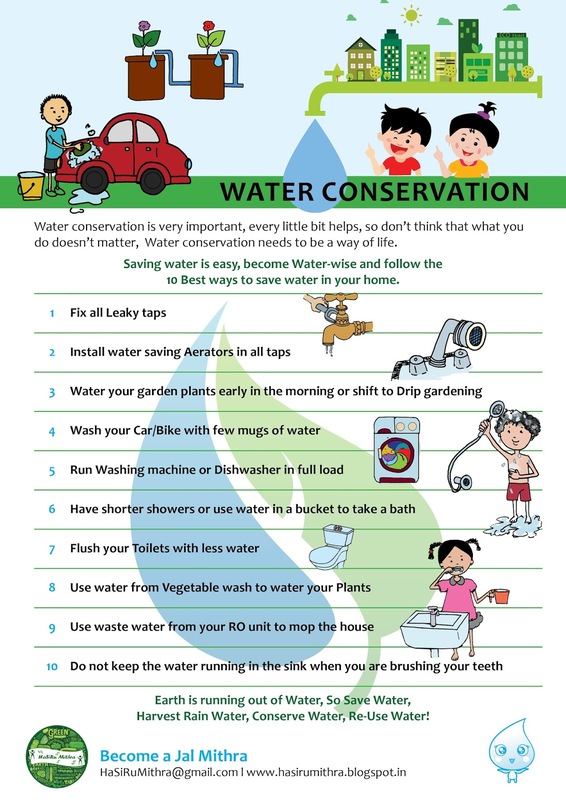 Children also made presentations and shared ideas on water conservation and watched short movies on water and environment. 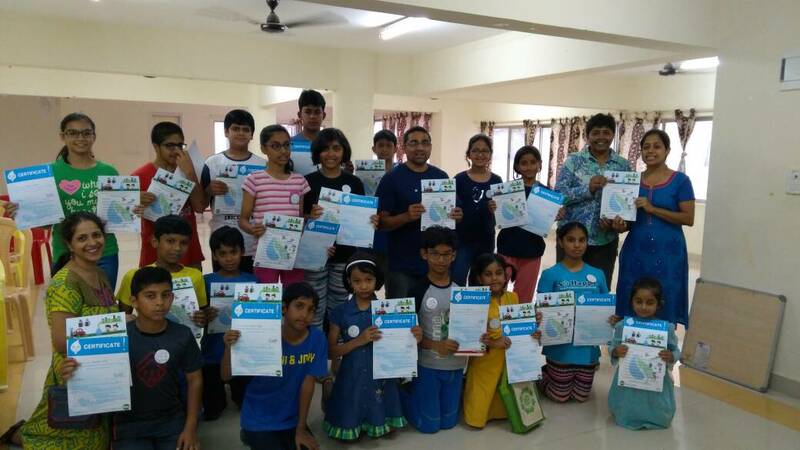 After completing the workshop, children were awarded certificates, badges and handout of the 10 ways to save, harvest, conserve and reuse water. Children spoke about the program and water conservation too. 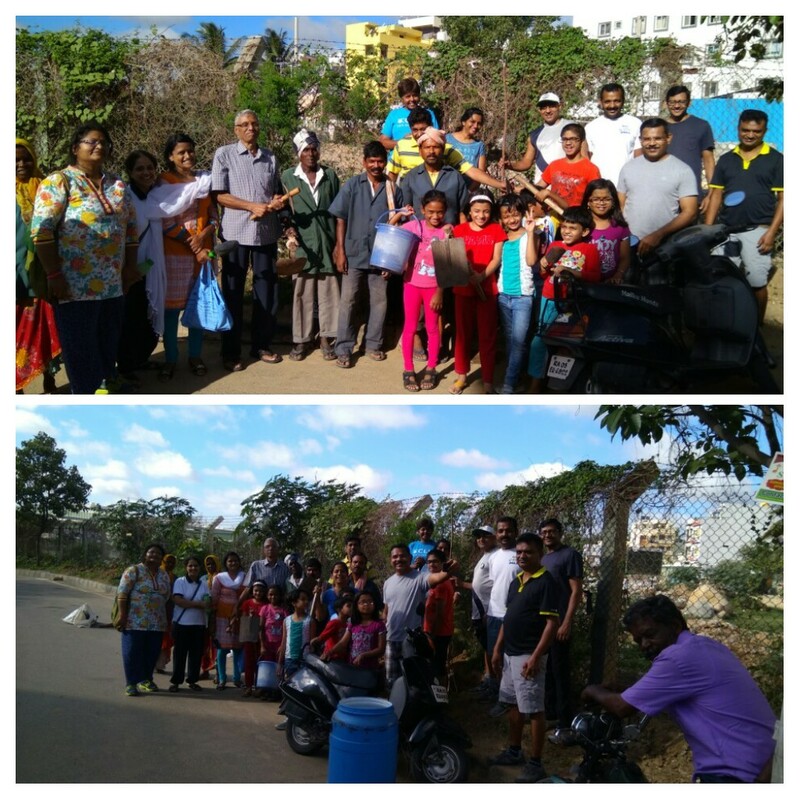 HaSiRu Mithra initiated a clean-up drive on 22nd April, BBMP PKs took over 3 hours to clear a stretch of less than 200 meters, given the intensity of clean -up. 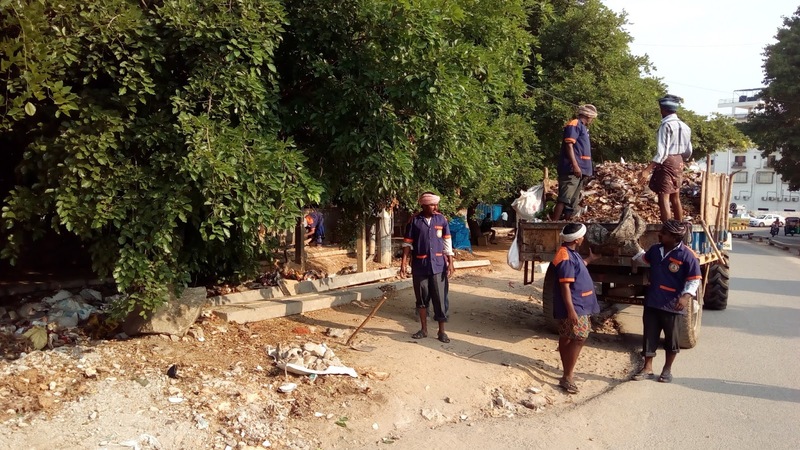 Over two tractor load of waste was cleared and the pavement was made walk-able. 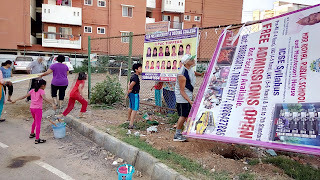 Adding to the challenge was that many men were using the area as urinals, and only way to stop making the place unhygienic so that all public can use the place without facing any embarrassment due to few wrong doers was much needed. 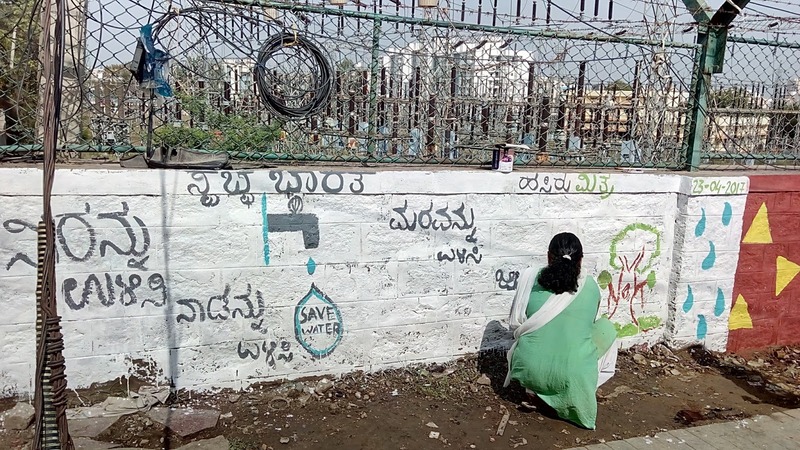 Hence HaSiRu Mithra team decided to beautify the place with message on Water and about keeping the place clean. 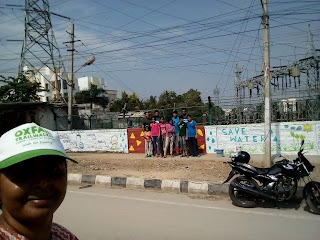 Many kids in the near by apartments joined to paint the wall and make it stand out with loud and clear messages. Now only time will tell if this place will stay good like all the other places HaSiRu Mithra team managed to fix. Jal Utsav an unique Summer Workshop for Children on Water by HaSiRu Mithra. The Workshop objective is to create awareness among Children about importance of Water and how to Save, Harvest and Conserve Water. 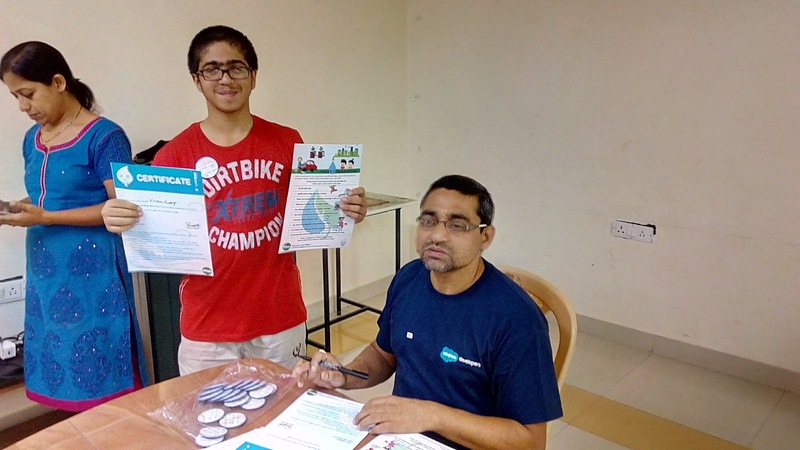 Participants will be issued certificate at the end of the program and will be recognized as Volunteers to take the message of Water in their Communities & Schools. 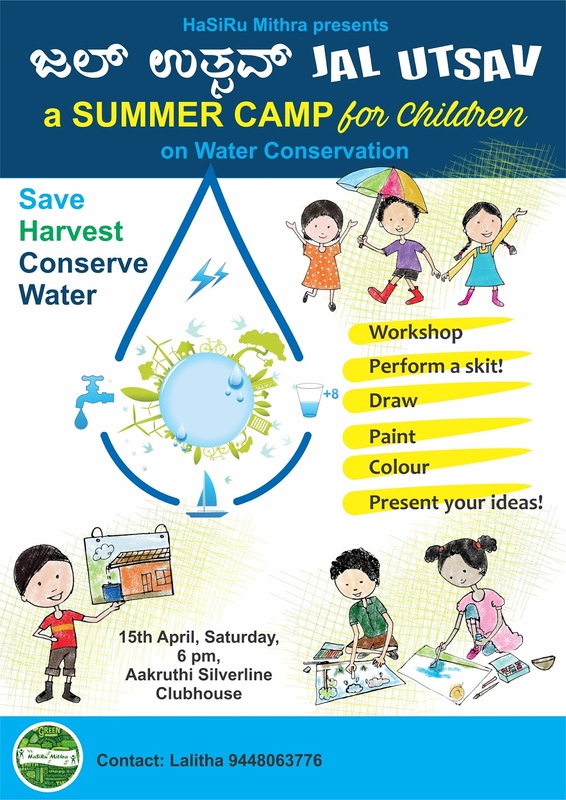 Workshop - Facts about Water, Assignments, Methods to Save/Harvest/Conserve Water, Skit, Lake Visit, Drawing/Painting/Sketching, Presentation, Certification. 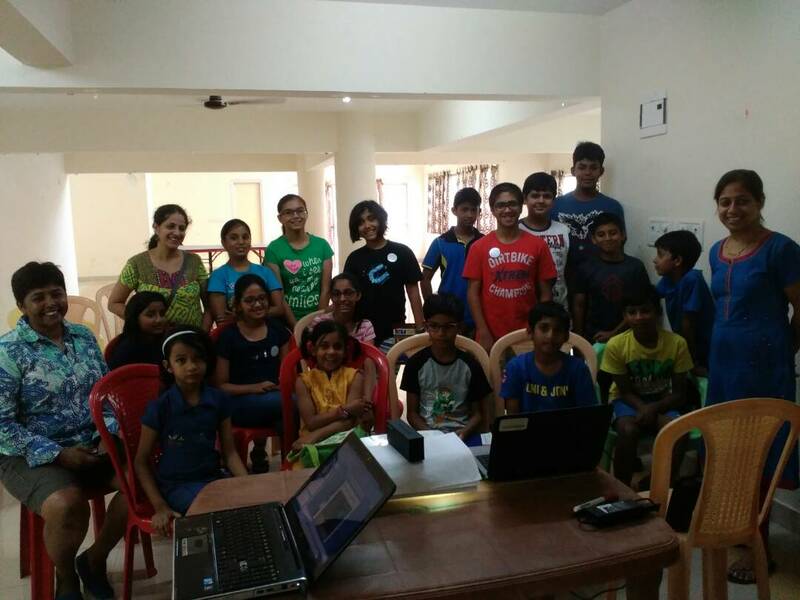 Classes will be held on Saturday & Sunday 5pm-6pm at Akruthi Silverline Apartments, for details contact Lalithaamba - 9448063776. 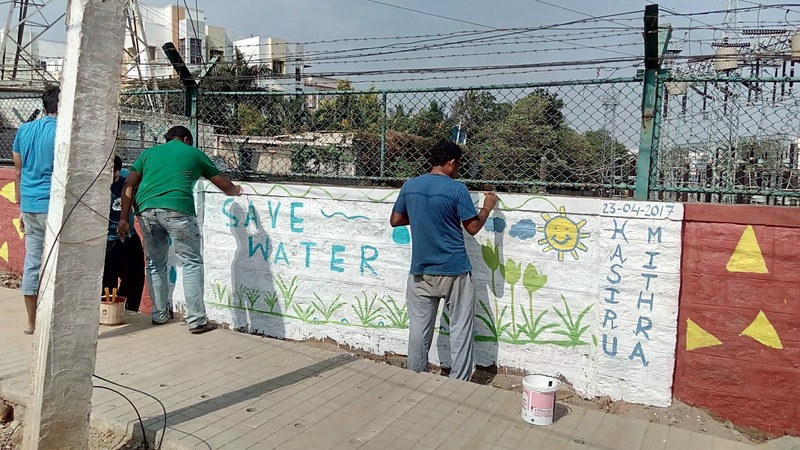 As a part of Wipro’s deep commitment to ecological sustainability Wipro has been involved with multiple environment related programs both, within our business ecosystem as well as in the civic and social sectors outside. Commonly called eco-eye, the inception of our sustainability program goes back to 2008. Eco-eye, helps introduce Wiproites to different perspectives in sustainability, and also allow them to understand their ability to make a difference in everyday lives. 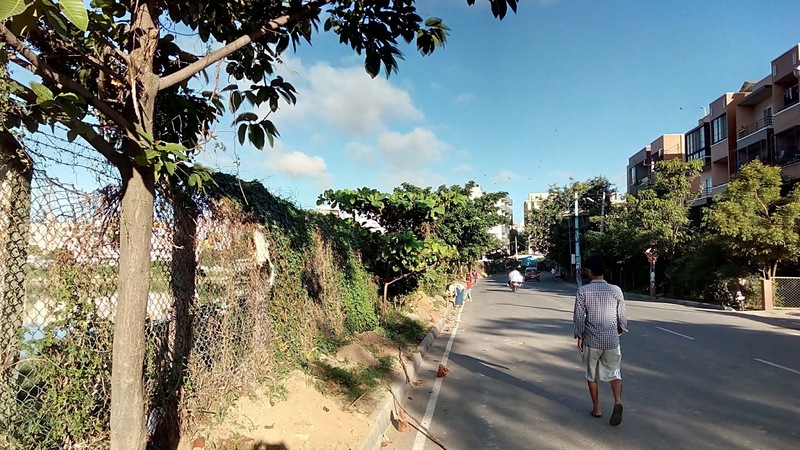 Our urban biodiversity program includes the twin goals of (a) converting five of our existing campuses to biodiversity zones and (b) ensuring that all new campuses incorporate biodiversity principles into their design. 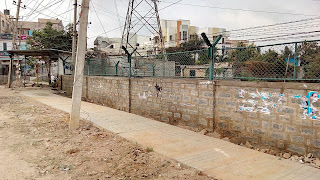 Our first flagship project in the Electronic City campus in Bangalore was initiated two years back with the first phase of a unique Butterfly Park now completed. Our next phase includes an innovatively conceived wetland biodiversity zone that will use recycled water. 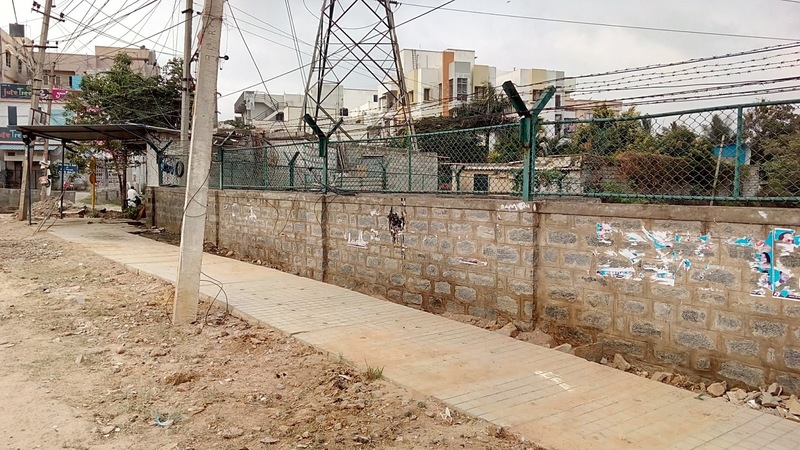 For our Pune campus project, the first phase has seen a trebling of the number of species of flora and fauna from to more than 200+ native species. 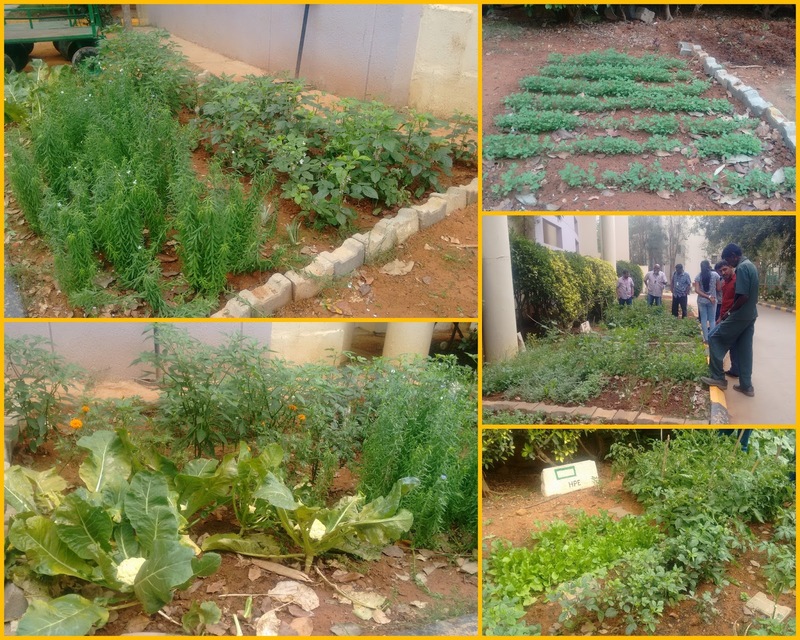 Biodiversity @ Wipro Electronic City (EC) 4 Campus: A Community Garden by Wiproites and an initiative supported by teams @ Wipro EC across sustainability team and the facilities team. 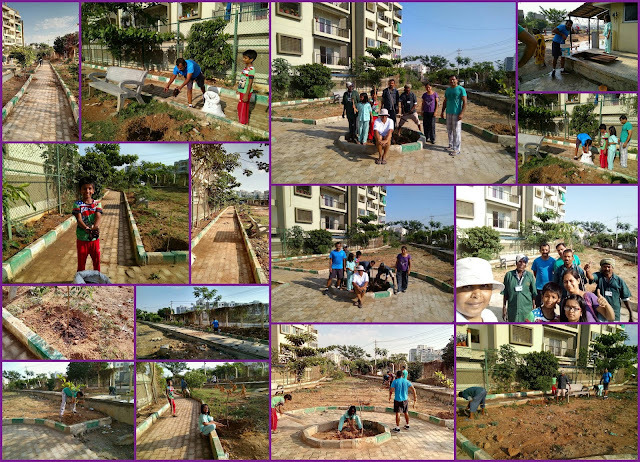 "Nurture your green patch" is an opportunity for Wiproites to grow and harvest vegetables and other plants. This is their space their space for showcasing and learning horticulture at the workplace. 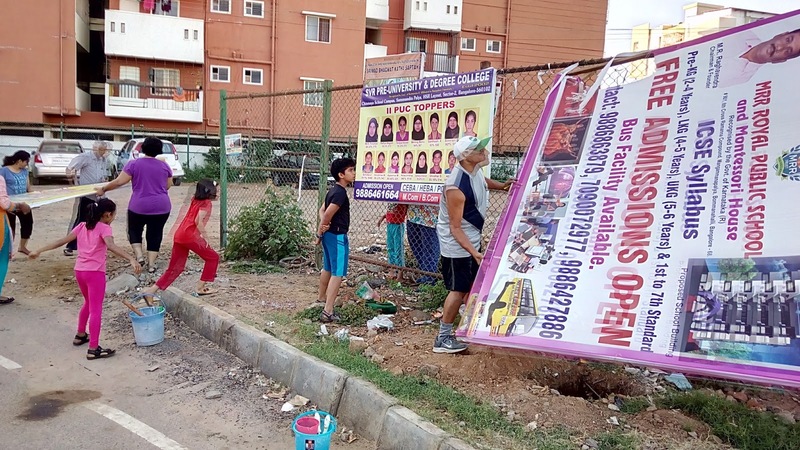 Living in urban spaces, we seem to be moving further away from natural environments. A large part of our lives is spent indoors staring at devices. Some of us are lucky to have found a favourite nature-spot around where we live and work to help us relax, unwind and be one with nature. Ten teams at EC 4 have a 10x10 sq ft area of land and they have a chance to grow flowers, vegetables, spices of their choice on their green patch. These green patches are built along the circumference of the dome/Center Court which houses the campus cafeteria as a part of the EC 4 Biodiversity Park Project.The teams which comprise of more than 30 employees are part of Phase 1 of this program. 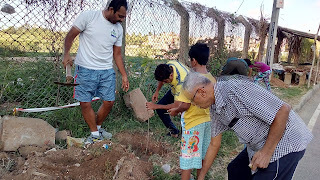 An external resource person/expert Mr.Nadana Sigamani, guides the teams regularly by showing them basic understanding in terms of how to plant, nurture and maintain the saplings on their patches. 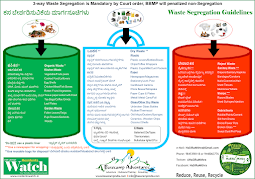 Through this program we are building connects with other ecology projects on campus. For example, recycled water from the campus is used for watering the patches. It has been a refreshing experience for employees as a lot of them attempted gardening for the first time. The teams tend to their patches during the lunch breaks and after hours. The gardening staff have also pitched in to make watering on the weekends easy. 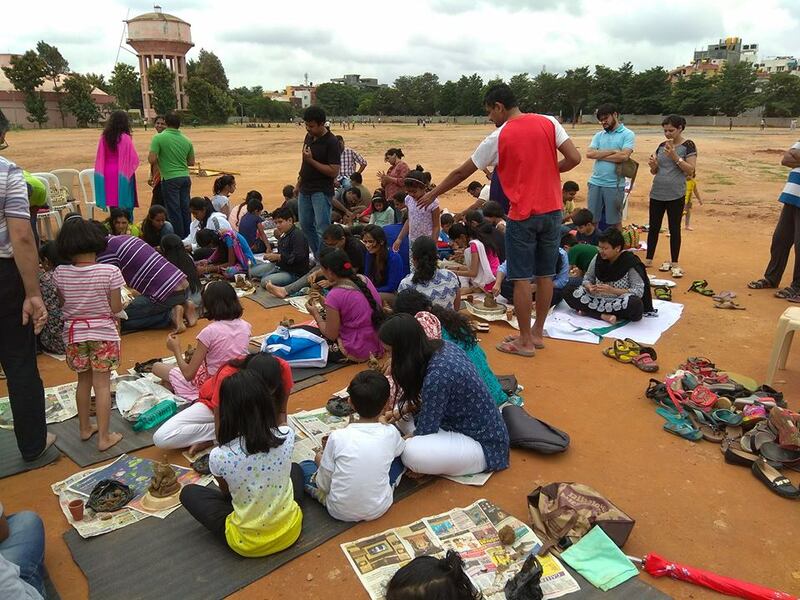 We also plan to start similar projects in other Wipro campuses. 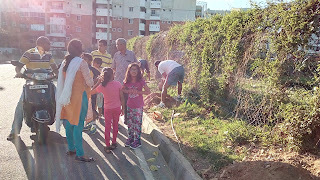 The teams have made a great start and have harvested various vegetables like beans, palak, methi, raddish, amaranthus, onions, potatoes, tomatoes, cluster beans, cucumber, bitter gourd among others from their patches. 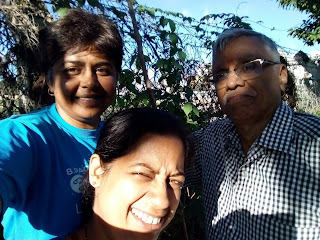 A whatsapp group has enabled live updates every day! 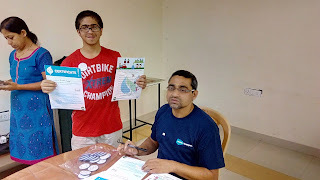 “Green Spots can be created at any place - be it home, neighborhood or @ office. Growing some greens in office is absolute fun and it gives sense of stress free atmosphere when we nurture the green patches at office after a daylong work in IT world. Green spots help us to unwind. 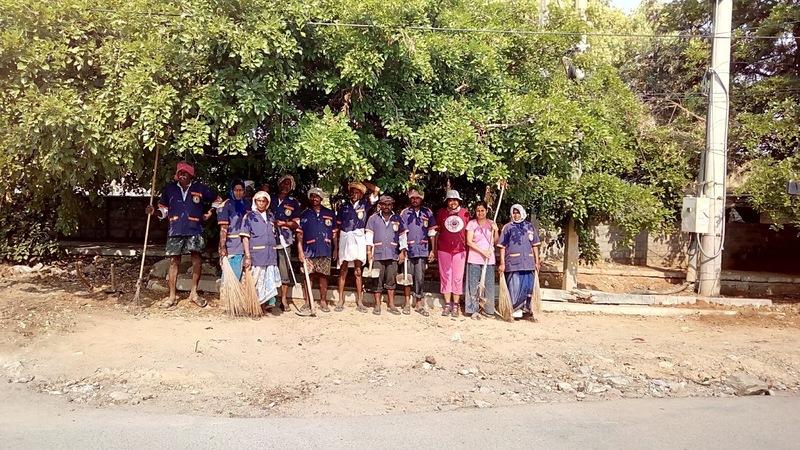 Biggest support is from FMG and the gardening staff who help with digging and watering over week ends and on request. They are the energy source. Sigamani sir and his team are a great help to the teams - be it clarifying doubts, helping to procure seeds, organizing meetings near plots and giving feedback etc.